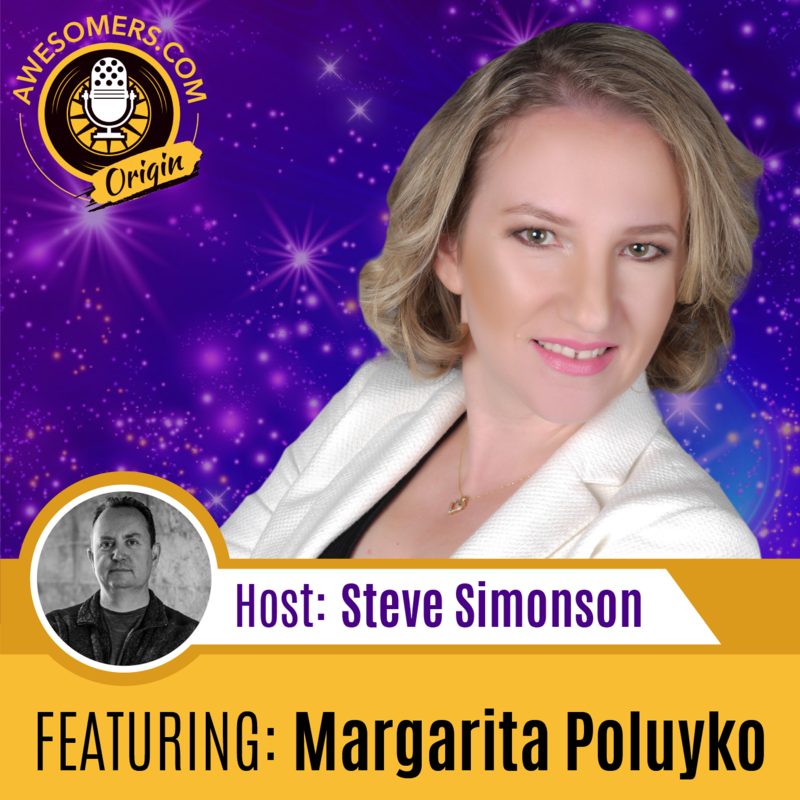 Margarita Poluyko immigrated to the United States from Belarus as a teenager and, like many immigrants before her, found starting businesses a more viable path to success than competing for entry-level jobs with American youth who had expensive degrees and existing networks. Starting out with nothing, Margarita worked extremely hard to build a life for her family in the US. After working several traditional jobs that didn’t go anywhere, Margarita decided to pursue a life of entrepreneurship in a wide variety of fields including real estate, mortgage, insurance, and product-related business. There were a lot of ups and downs along the way, but her entrepreneurial mindset and drive to succeed allowed Margarita to move away from a dependency on employment roles for her family’s well-beings, and to take her life into her own hands. In 2014 Margarita, along with family members, began selling physical products on Amazon. The company grew from basement operation to an 8-figure business in only a couple of years. Her experience in varied entrepreneurial fields led to an expertise in management, negotiations, product selection, and marketing. Margarita’s story is proof that an immigrant can come to the United States and, with extremely hard work, an intelligent plan, and quiet determination, succeed beyond any expectationsMargarita Poluyko immigrated to the United States from Belarus as a teenager and, like many immigrants before her, found starting businesses a more viable path to success than competing for entry-level jobs with American youth who had expensive degrees and existing networks. Starting out with nothing, Margarita worked extremely hard to build a life for her family in the US. Margarita’s story is proof that an immigrant can come to the United States and, with extremely hard work, an intelligent plan, and quiet determination, succeed beyond any expectations. The lessons Margarita learned growing up. Why not everything is an instant success. Entrepreneurs should focus on the bigger picture. 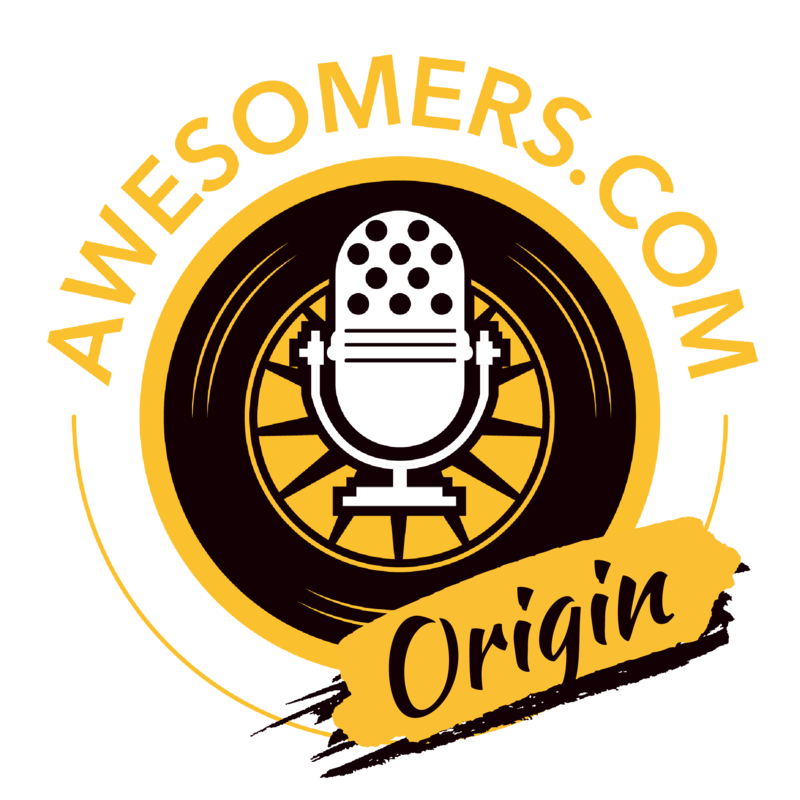 Listen once again as we hear it from Margarita’s inspirational journey as an Awesomer. If you're launching, a new product manufactured in China. You will need professional, high resolution, Amazon ready photographs because Symoglobal has a team of professionals in China, you will oftentimes receive your listings photographs before your product even leaves the country. This streamlined process will save you the time, money, and energy needed to concentrate on marketing and other creative content strategies. Before your item is in stock and ready for sale, visit Symoglobal.com to learn more because the pictures should be worth 1000 keywords. Steve: You are listening to episode number 92 on the Awesomers.com podcast series and today is actually the third in a three part series with Margarita Poluyko. And Margarita is an inspirational entrepreneur in every possible way. She thus far has showed and shared her journey from, you know, being born all the way back at Bela Reuss to emigrated to the US and then struggling to find, you know, a quote unquote proper jobs and then even struggling in her first businesses that today she wraps all of that experience together to share again how her and her family have teamed up together to put together a very, very oppressive business in the ecommerce space. Primarily they started by selling physical products on Amazon, but they're continuing to expand it to other sales channels that really make a true brand. I love the fact that Margarita and the family have been able to leverage that intellectual equity that they baked all those years, and then were able to deploy it in a meaningful way in this new fun ecommerce business. It is a really exciting results. And as ultimate success story, you know, people often talk about the American dream and I would say the Margarita really epitomizes what the American dream is all about. So Kudos to her. You're going to love this third in a three part series today from Margarita. Let's get into it right now. Steve: Okay, we're back again. Everybody. Steve Samson joined by Margarita here on the podcast. And did you notice how I just skip right past the mispronunciation that time, Margarita. Steve: Is that right? Oh all. Alright. So I'm going to, I'm going to sound it out. So as long as I've known you and your brother I, my pronunciation is not getting any better, but, uh, it's, it's my own hard wiring that is wrong. Uh, so, uh, again, I'll do better. So before the break I tease this idea of maybe a big lesson or lessons that you've learned along the way. You shared some of those already. Do you have any other lesson that stands out in your mind that you wanted to share with your Awesomers out there? Margarita: Some of the lessons that I did learn were, don't overthink it. Take action. I like to be prepared for everything and I do not like taking steps before I analyze everything, but as I learned sometimes you just have to do it and let it unfold and see if it works. Of course it has, to be a calculated risk. Whatever it is that you do, but at some point you do have to let go. Steve: Yeah. I think the final point where you just take the plunge, right? So there's a lot of us in this world that are analysts, right? We really want to analyze everything. We want to see the data and we want to see the plan. And there is a, again, a fine line between doing a good evaluation of whatever the opportunity or the idea is. And then there's the idea of we just need to go, we just need to try it. And that's one of the things I love about the Internet. Love to get your input on this too, Margarita, the Internet allows you to test stuff so fast that you know, whether there's any hope or not relatively quick compared to the old days of, you know, renting a building and hiring employees and you know, signing up with the electric company and you kind of have all this massive overhead and all these fixed costs long term and then you still don't know if any customer is going to show up and buy anything from you. But in the Internet we can just try stuff and have instant feedback or at least relatively fast feedback. What's your thoughts? Margarita: I most definitely agree. It took us several tries and it was the physical product to focus on a specific group of products that actually were successful. But before then there was certainly several that did not make it any and you're right. It was a relatively painless when it comes to time spent and monetary expense to do that. Steve: Yeah, it's, this is what I like to call the salad days of, you know, testing ideas and business models and even in the private label world, which I most often refer to as a brand world. You started creating your own products under your own brand and that gave you the opportunity to just test things. And if one doesn't work, you just kind of cut that thing and you move on to the next thing. And it sounds like you were able to do that without losing faith in the concept. So tell me about that. How did you validate the concept of the idea was okay, but maybe your first product or products weren't working as well as you wanted? Margarita: We were open up to it from the beginning. So we knew going in that not every single product is going to make it. Not every single product or idea I'll go into will work. So we were determined to test them until something stuck, something they'd send, something worked and that's what we did. Steve: I love it. Yeah. I think you know that. So your instinct was telling you something here is going to work. You've got enough data from those initial product launches to figure out that there was hope, but you just didn't quite hit the scale you want it to at the first idea or first product ideas. Is that. Am I getting that right? Yes. That's perfect. Yeah. It's a lot of people really forget this. So I can remember like the first 20 products I put on Amazon, Lo these many years ago, they, none of them really took off. Uh, none of them worked really well and everybody always reminds me, Oh, it's so easy back in the old days and it was so easy, this and that and easy and simple. I suppose there's some relevance to some of those based on the time, but it was just different that that's the fundamental point. You know, we had products that we just, we lost, that we did not feel that we're financially viable longterm, even though they sold a lot of dollars, they just, either the feedback wasn't good or the returns were too high and people need to evaluate all of the factors. Is that how you guys kind of looked at it and kind of that big picture, holistic way where you say, you know, sales margin, returns, customer satisfaction, all of it is relevant. Margarita: Oh yeah. Most definitely. But also to your point, a lot of people say, well, so much easier in the olden days and yes, it was. The competition was not as uh, as fierce as it is right now. But at the same time we didn't know anything about selling on Amazon or elsewhere. Right now there's so much information that is available. There are so many people that are willing to share their experiences. So on one hand, uh, yes it was easy, but on the other hand right now is there's a lot more information available to help you be successful. Steve: Yeah, that's quite right. People also don't remember that, you know, Amazon's growing so fast that, you know, five, 10, I started over 15 years ago on Amazon with our first efforts. Uh, the, the audience was way smaller. Yes, they were still big. But this idea that, you know, oh, it was, you know, uh, as, as the audience increases, so does the level of product offerings and so forth. Now they have, you know, hundreds of millions of items, perhaps billions of items, I don't know. And you know, the audience is growing. I think Amazon's still grew somewhere like 25 percent last so far, year to date, like 25 percent again, which is insane at their size and their scale, you know, over 100, $200-$300, billion of gross sales and they can still grow at 25 percent is insane. That's why they are a trillion dollar valuation or are close to it at this point. Um, let me ask you this Margarita. So once you get going and you felt there's some momentum, how did the, how did that take place? You know, from the point where you tried stuff and you're like, there's something here. But it's not quite right. At what point did it start to go, hey, this is a real business? Margarita: Well, it was started several products and then we, uh, ended up with a few products that made sense and we began, um, you know, marketing and testing and trying. And so we saw that the products that were really taken off, uh, so eventually we made a decision to move from the basement and the garage into an extra warehouse space. And I think to me the A-ha moment was, as I mentioned, was hiring those first three employees. It's really felt like a business and really felt like, alright, now we can really concentrate on the big picture and the growth. Steve: Yeah, I can definitely identify with that for sure. Uh, so as you, as you move out, now you have a warehouse, now you have employees, and you had that A-ha moment where you're like, hey, this is, this is real, this is happening. I like this. Was there any point between then and now where you've ever wanted to kind of give up and go, ah, this is too much for me? Or I don't like it, or just, you know, in any, any feelings that you ever said, you know, this is just, I'm out. I don't want to do this anymore. Margarita: Very honest with you. Looking back at all the hardships and hard times that I had gone through this business in comparison is a smooth sailing. I would absolutely find nothing to say. Steve: I love it. So I think your point there is something that I want to drive home. It's a relative indicator, right? Uh, it doesn't mean it. So somebody else may go, oh, well, I, you know, that means if I start my own branded business, then they'll just be smooth sailing. You clearly have adversity and challenges that happen in your business today. Yes? Of course as every business, but it's all relative, relative. I quite agree. And this is one of the points. This is why I love Awesomer origin stories like yours because it helps people put in perspective what really is a real problem and what is just on a day to day problem. Right? And I, I have repeated often that, you know, our job as entrepreneurs is essentially just to solve problems. We exist to solve problems, that's our key strength. Steve: And so the idea that we wake up and go in and we face problems every day that we should embrace that we should see that as our key opportunity, not a, you know, kind of a negative thing. And so, you know, I assume that you and your brother and your sister as you are running your business, that you guys solve problems that come up on a pretty regular basis. That true? Margarita: Definitely problems always come up. But again, relatively speaking, they're not big and solvable and their mundane day to day problems. But one thing to your point also wanted to mention is I try to get uncomfortable regularly and it might not be, it might be something was in the business or personally. For example, I had never done a podcast and I knew this is something I will do very uncomfortable with. And um, as you probably noticed, I had said yes almost immediately because I knew if I was to hold on for a day or two and think about it, I would most definitely say no, but I also knew that you filed commit. I will kill myself, but I'll have it done. So important, important to get out of your comfort zone because that's how you expand your horizons. That's how you expand your tolerance level, really for situations or adversities that will come into your life. So get uncomfortable. Steve: Yeah, very good advice. I'm thrilled by the way you were able to take yourself out of the comfort zone to join us on the podcast. You know, knowing your story and how great it is and the, the, the extraordinary accomplishments that you have made along with your family. You know, I knew that the Awesomers would love to hear your story and I'm glad that you pushed yourself outside of that comfort zone. Thank you for that. Um, Margarita, let me ask you this. Was there a best day in your professional life so far? Was there any day that you just look back and go, man, this was a really good day based on whatever it was anything that stands out in your mind. Margarita: Again, if we are talking about this business that I'm in right now, every day is the best day regardless of problems that we might be facing because I am extremely, extremely grateful for the opportunities that I have been given, going back, all the adversities that I had to go through. I would not change it for the world. All the pain tiers heartache, the difficulties for myself and my family. I would not change it because it made me who I am and it put me in a position. I felt like everything led to this moment. So I'm extremely, extremely grateful for everyday that has given and for every opportunity that God has given to me. Steve: Bravo, I agree with you entirely. A very good way and very good perspective to think about these things. Um, let's turn our sights onto something in your day to day. Is there a day to day tool that you use? Something that you find to be really additive can be an APP or a system or a program or a plugin or, or just a way of doing things. Anything that stands out in your mind you care to share with other customers out there? Margarita: Well, if I can wear off a little bit. It's not a tool. It's not a system. It's not a program. It is meditation and it is fairly new to me. I have only been practicing for about a year and a half, but as cliche as it may sound it, it has changed my life. Uh, first few weeks after it began meditating, I literally felt like I was, and this is crazy and if you told me this a few years before that I would say you're nuts. But I felt like I had super powers. It felt like I had answers to all of the questions. It's a little bit different now. It's a little bit more subdued, but it still gets the job done. It still clears my mind is still, brings ideas to me. Uh, and I would definitely advise everyone to try it. And I was, I really wanted to try it for many, many years because I've heard all these great people talking about it, but almost having a hard time and the reason why I was having a hard time because I had a misconception, I always thought that when you meditate you have to be completely zoned out and I've found it to be not so um, thoughts will come and they do to me every day. Margarita: But even if you don't zone out, your mind still becomes clear. Those problems to kind of, um, they get filed into different compartments and you can call on them one at a time and solve them instead of having all of them come at you at the same time. So again, meditation helped me. I did have to take a class eventually, but I, I do meditate once a day, 20 minutes most days, 20 minutes, twice a day. Also, I think it's very important to know your body to know what puts you in a peak state. I prefer only working when I'm in my peak state and throw a lot of trial experience. I'm able to go into my peak state what I need so I know how to do that. So no one messes with my sleep and no one messes with my morning routine. So to me personally, those are very important. And then all the tools come afterwards. Steve: I love it. That's a very vital tool. Um, so you mentioned this idea and I think a lot of a lot of us out there, entrepreneurs and, and Awesomers is in general, no matter where you come from, whatever walk of life we hear about this meditation idea where you end up taking your class. Well, where did you find a class on meditation? Margarita: And again, I'm not endorsing the company, I don't work for company, but I chose to take a transcendental meditation because I heard about it. It was again, 20 minutes, twice a day. This is something that I could fit into my day fairly easily and it just worked for me. But any kind of meditation that you can, mindfulness or whatever else, um, whatever works for you as long as you do it. And sometimes even if you don't want to meditate, just sit quietly and be still for 20 minutes. It is extremely difficult to do in the beginning, but force yourself to do it for the first couple of wigs and then you will see what it does to you. Steve: Amazing. I definitely have heard the same type of response from the people that have adopted it. And I think that's a very, very good process and tool for people to consider. Margarita, let me ask you to get out your crystal ball here for a minute. Uh, you know, a lot of people, they talk about things that may change in the future or perhaps things that won't change in the future. Um, pardon me, you know, so often we get wrapped up in what is going to change. We forget what's not going to change, which may be an equally instructive. What does Amazon look like in five years? Margarita: In my opinion, Amazon will continue to grow, as you mentioned, grew by 25 percent just in the last year. So my prediction, it will continue to grow. It will continue to acquire a customer base and it will help businesses to grow alongside. Steve: And how about in ecommerce in general? Uh, are they're going to be competitors who give Amazon a challenge? Are they just going to run away with the, uh, the whole deal? What's your thoughts on that? Margarita: I know that we'll try, uh, to me it is very difficult to draw predictions, on that end, just because I don't have that background and I would have, I would hate just to talk to talk. So I don't know. I can't speak to it. Steve: Fair enough. I don't think anybody knows the future, that's for sure. Are there any other things that you think are coming in the future that you are trying to strategically plan around? Uh, and you know, not everybody has really looked forward, but I'm part of the process of asking the questions to get people engaged in this idea of what's coming. So they, they started to think about it. Is there anything that you think is coming that you're trying to prepare yourself for? Margarita: Well, as far as physical products we will continue to grow on and off Amazon, uh, we will probably look into investing into other businesses, acquiring other businesses. The only thing I can speak for, and that's again goes back to my real estate background and you will completely right about that is the cycle part of it. It's coming. I mean it is coming. So, uh, if you have investments in real estate, I'm not here to scare anyone. I don't know when it's going to happen, but the adjustments will, will happen. Steve: Yeah, it is inevitable. It's, it's almost like an economic certainty that I would say that if somebody says, you know, hey, this house is worth half a million dollars today, in, in 10 years, will it be worth more than a half a million dollars? Probably. But there could be some point in between now and then that it goes down. And uh, you know, I, I had a house that was, you know, I bought it in like 2001 and I sold it in like 2012 and I basically got out even. And that was lucky. Honestly, most of the people who, who, uh, had a setback in 2008, nine, 10, 11, they were underwater, they went backwards and now had I held from 2012 and 2018, that house would have been, you know, probably nearly double. So all these cycles are going to happen. I think it's important and I appreciate you bringing up that point, that corrections happen in every market that have this type and I think both the stock market and the housing market are due for a correction. We've already seen it in the cryptocurrency and who knows if that one's a over or just beginning, but thank you for those predictions. Um, let me just ask you, as we start to close up, do you have any final words of wisdom? Anything you care to leave with the awesomers out there listening and that, you know, thousands and thousands of times this will be heard. Uh, so what would you have to say to the folks out there? Margarita: Again, I, I think I will repeat myself. That, to me, one of the most important thing, especially for setting out entrepreneurs is don't overthink it. Take action. Just do it. Just get it done. Steve: I love it. I think that's, that's really, it's um, you know, what do they say? It's simple but not easy. Right? All these things are very, yeah, just don't overthink it. Let's take some action to go. And then we realized, Oh, this is actually real work and it's not as fun as a, as I thought it would be on every second. But I definitely would agree. And I'm interested to hear your feedback on this as well. You know, when, when you get in that zone, when, when you feel the momentum is working, even when you're dealing with the mundane day to day problems, it can be an extraordinarily rewarding journey. Uh, do you agree with that premise? Margarita: Yes, definitely. That's why as I said, I only try to work when I'm in my peak state because something that will take me hours to do my taking only 30 minutes in my peak state. So when I'm not in my peak state I choose to do other things, maybe read a book which is also obviously productive, uh, but um, something that does not take too much energy because it just takes longer, it makes no sense for me. I'm all for efficiency and productivity. Um, and that's what works for me. Again, it might not work for everyone, but my advice would be find your peak state and what gets you there. I think this was very important for me to learn what gets me there, what morning ritual I need to do, and if I need to be in a big state in the afternoon, what do I have to do to get there? Steve: Ah, I think that's really great advice and excellent wisdom, uh, throughout this episode in particular, your closing comments there. Margarita, thank you again for joining me today. It's been a great to catch up and, and share your origin story with the world out there. Thank you again. Margarita: Thank you so much, Steve. Appreciate it. Steve: Oh yeah, certainly. My pleasure. Awesomers, if you're out there listening, we'll be right back after this message. Amazon marketplace professionals, congratulations on your success today, your creativity and strategic vision, problem solving and discipline has allowed you to build your own eCommerce business. Wouldn't it be great if you had more time to focus on the things that truly drive the sales and growth of your company instead of getting lost in a dozen different services and countless spreadsheets? What if there was one system that connected to your Amazon account and automatically gave you the information that you needed to make great decisions and really impact Your Business? Parsimony ERP can do that. Parsimony is the business operating system for your marketplace business. In Parsimony you get true double entry bookkeeping, easy financial statements, full customer service tools and item by item profitability along with project and task management. Within more features are being added all the time. Learn more at Parsimony.com. That's Parsimony P a r s i m o n y.com or Parsimony.com. We've got that. Steve: Well again, everybody, you know, watching the evolution and and hearing all three parts of this series, I'm sure you could experience the journey along with myself listening and Margarita, she told the story, you know, from that very humble, beginning back at Bela Reuss immigrating into the US, you know, finding what opportunities she could and coping with all the changes and all the, the, you know, culture shock and the needing to learn the language and so on and so forth. Really, she learned so many things along the way. And again, it's such a great inspirational story because she was able to put all of that knowledge to work and be able to take all of those experiences, even the ones that were not to use an American idiom home runs. Right? So for those who are not, it turns out many of my listeners, in fact, I think the majority of from outside America a homegrown is a good way of saying something that was a smashing success. Steve: Not every single things that she tried was a smashing success at first. Like all of us. By the way, that's the same history that I had many, you know, things that were, they were adequate. You know, they paid the bills, but they certainly weren't, you know, creating equity in terms of financial wealth or financial equity. They were just kind of paying the bills in and we were really more working in the business then on the business we were, the business owned us. We didn't own the business. Right? So get to replace some of the phrases from the famous book, the eMyth. Margarita's story and that of her family is truly inspiring to me. I hope you find it inspiring as well. This is the last, this is the third part of that three part series and it's also episode number 92 on the Awesomers.com podcast series. Steve: And all you have to do is go to Awesomers.com/92 to see all those notes in details. I'm glad you joined us today. I really do encourage you and ask you if you will please share this podcast with somebody you care about. Please go ahead and leave us a review and it's okay. If you want to go to awesomers.com/contact and you could tell us how we're doing, you could. That's a direct voice to us. Our associate producers will see that and I see every single one of those, so whether it's loves a letters or hate mail, we read it all and we respect your opinions and we want to learn more and learn how to serve our people and our audience and you in particular better and better everyday. Well, we've done it again everybody. We have another episode of Awesomers podcast ready for the world. Steve: Thank you for joining us and we hope that you've enjoyed our program today. Now's a good time to take a moment to subscribe, like, and share this podcast. Heck, you could even leave a review if you wanted osmers around. You will appreciate your help. It's only with your participation and sharing that we'll be able to achieve our goals. Our success is literally in your hands. Thank you again for joining us. We are at your service. Find out more about me. Steve Simonson, our guests team and all the other officers involved at Awesomers.com. Thank you again.